No deposit refund for cancellation. If No show, charge 1 night all people. reduce people, charge 1 night for people reduced. If under 18, all guest must be accept to separation gender for safety. 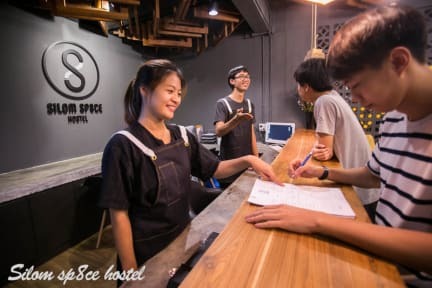 Silom Space Hostel is located in heart of Bangkok business district. It takes place on 5, 6 and 7th floor (Don't worry, we have lift) in stand alone building, just around the corner of 2 main streets of Bangkok. 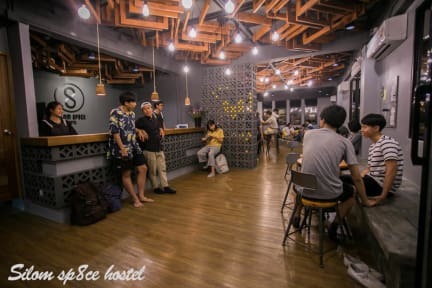 This hostel is just close by 2 train stations BTS (skyrail) and MRT (subway), which you can go to airport or throughout Bangkok easily.